In its efforts to restore the degraded ecosystems of the Badia rangelands, the Government of Jordan is facing the challenge of providing a stable and sustainable source of fodder to support the grazing herds of the Badia communities so that overgrazing will be minimized and the community based protection of rangelands will be effective. The underlying principle of this project is to establish a long term arrangement for making the fodder available to the herdsmen in the Badia. Building on the general approach of the CAP, which is based on the community based participation in restoration of the degraded terrestrial ecosystems of the Badia, the project will integrate the concept of watershed management as well as socio-economic incentives, which are the other two directions within the CAP. Keeping in mind that one of the national legacies of CAP will be to provide sustenance to about 350,000 animals for a long term, through a self-reliant cooperative mechanism, fodder crop production is inevitable for the success of the CAP. In addition, resting of the Badia from grazing will not ensure the required recovery of vegetation in the rangelands. This is due to the fact that there has been a steady decrease in the rainfall over the years. Therefore, it is vital for the success of the CAP and the whole BRP to secure a sustainable local source of fodder. Following the F4-Panel recommendations, as approved by the Governing Council, and consulting the roadmap in developing the Community Action Plan (CAP) would require securing fodder for most livestock in the Badia. This was clearly pointed as the main lesson learned from the baseline studies conducted in 20009/2010. While the F4 panel recommended that the Badia rangelands should be rested to recover, the project is directly linked to the elements of the F4-Panel recommendations. Therefore, the option of producing fodder crops is adopted by the BRP. Although it is preferred to have the project inside the Badia, however studies showed that there are many limitations to implement an irrigated fodder crop production inside this area. This was clearly indicated by the EIA and socioeconomic study implemented in 2011. The main limitations for implementing the project in Rauwayshid for example are the absence of licensed groundwater wells, the poor soil quality and the harsh environmental conditions. 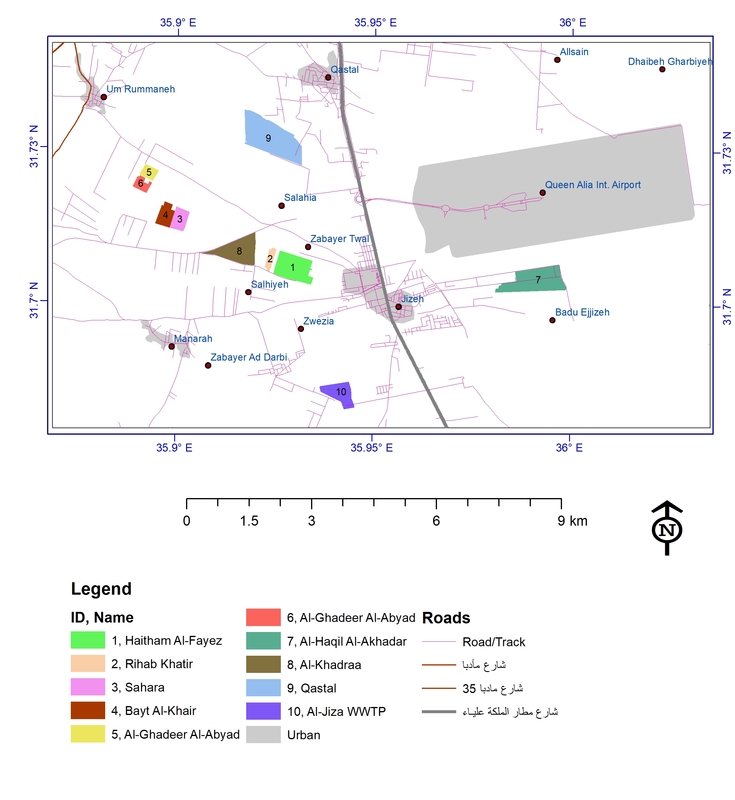 The location of Hadalat was also considered and showed that the needed infrastructure would make the project non-feasible. Other areas inside the Badia were also suffering from the lack of infrastructure and land tenure conflicts. The use of surface water resources was not possible due the small size of dams inside the Badia. The construction of large dams was also non-feasible due to topographic and geological limitations and most important the high cost. Therefore, communication with stakeholders and the MWI showed that it would be more efficient and economic to implement this project using treated wastewater. The BRP has worked with MWI/JVA to raise the dam to reach 26 MCM. The MWI will provide enough amounts of treated wastewater to cultivate 16,000 dunums of forage. 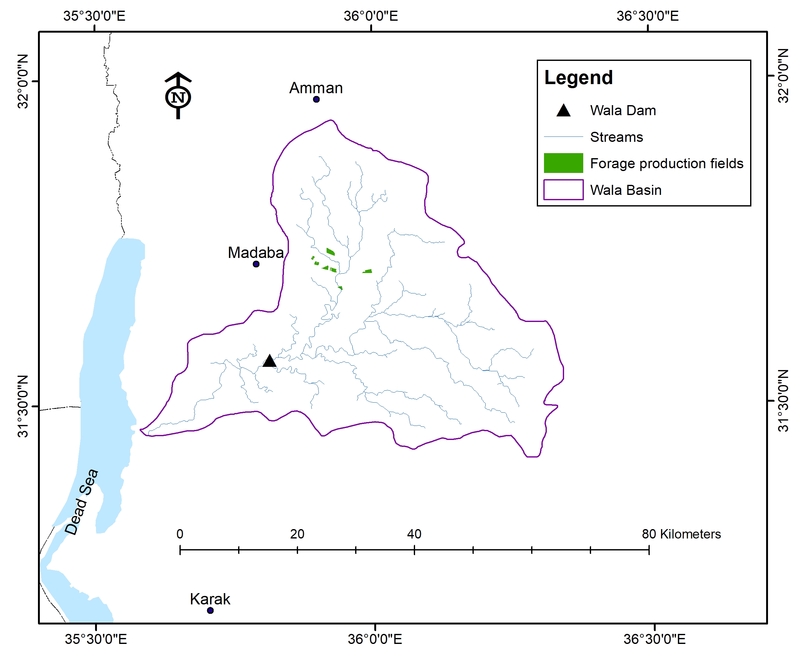 Location of Wala dam and its watershed and the location of lands designated for forage production. During year 2017, the cooperatives of the middle Badia, established through BRP, jointly worked with MWI/WA and JVA to participate in forage production. The selected locations that were prepared are shown in the following map. It is expected that more cooperatives will be involved to cultivate larger area in Jiza and near Khirbet As-Samra so that the required amounts of forage to support CAP implementation will be secured. Technical specifications and tender documents for water harvesting (tender document). Designation of lands in Jiza area. Involvement of 8 cooperatives in the forage production proejct. Mobilization phase of raising Wala Dam after signing contracts with implementers.